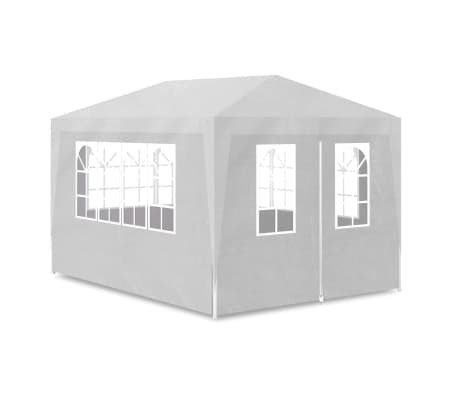 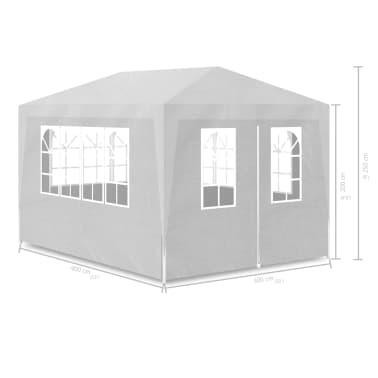 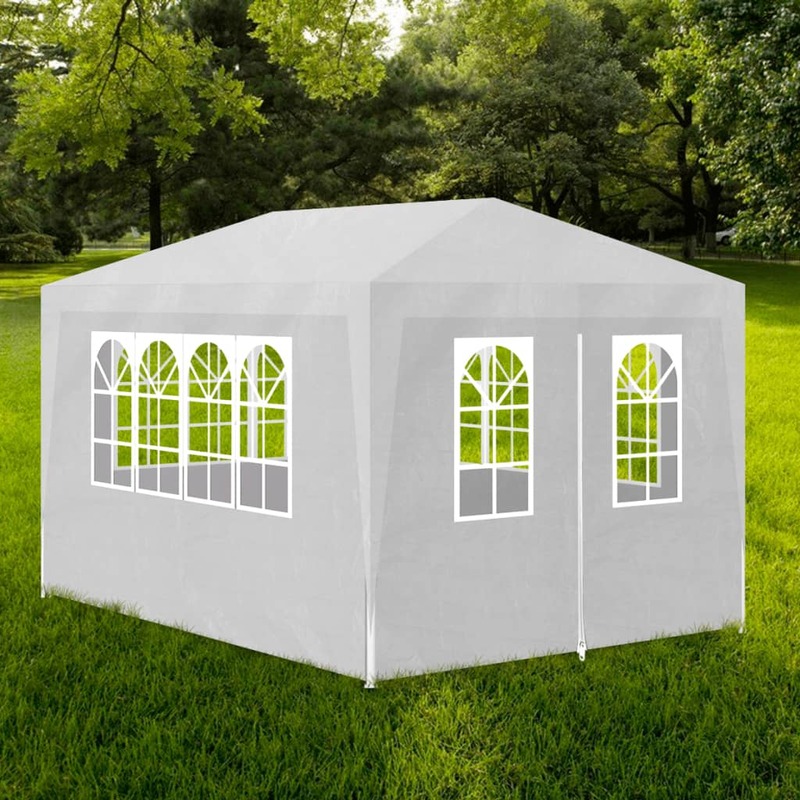 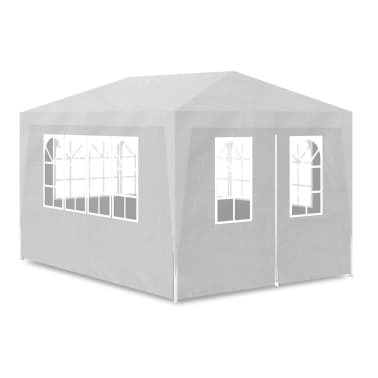 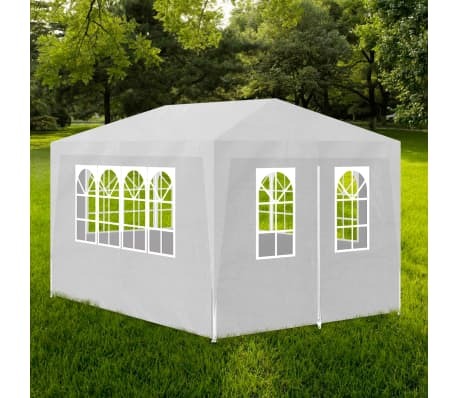 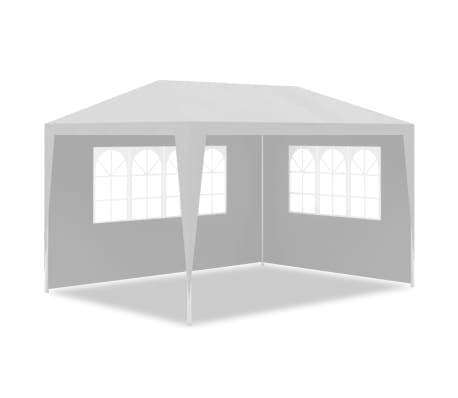 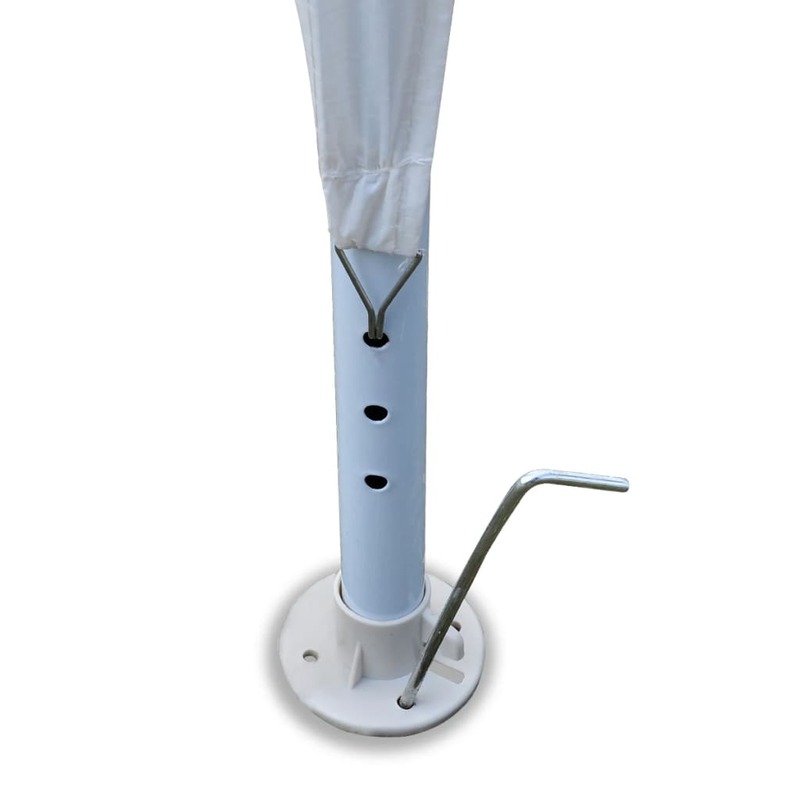 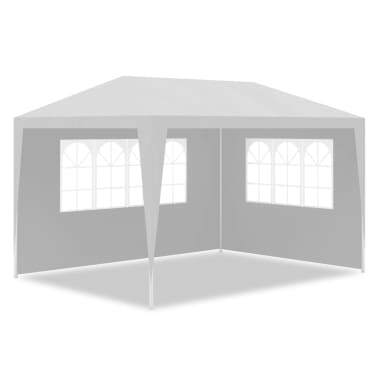 This garden gazebo is ideal for any outdoor events, such as shows, weddings, parties, barbecues, camping, festivals and so on. 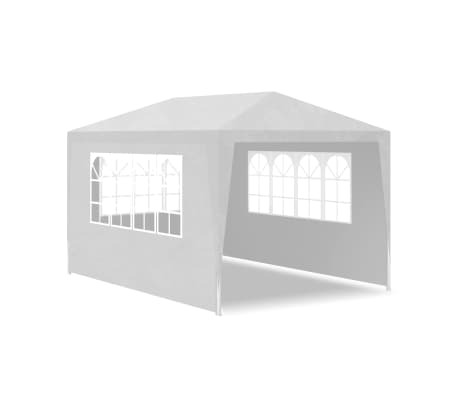 You can also install it in your backyard as a large, lovely sunshade retreat for your family and guests. 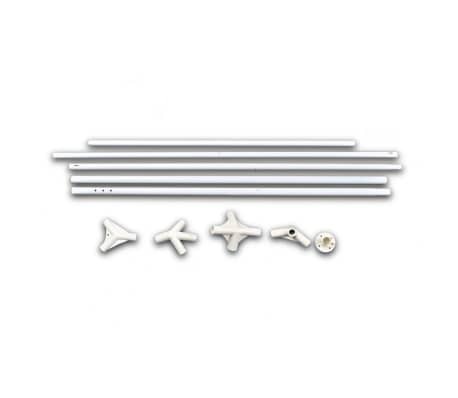 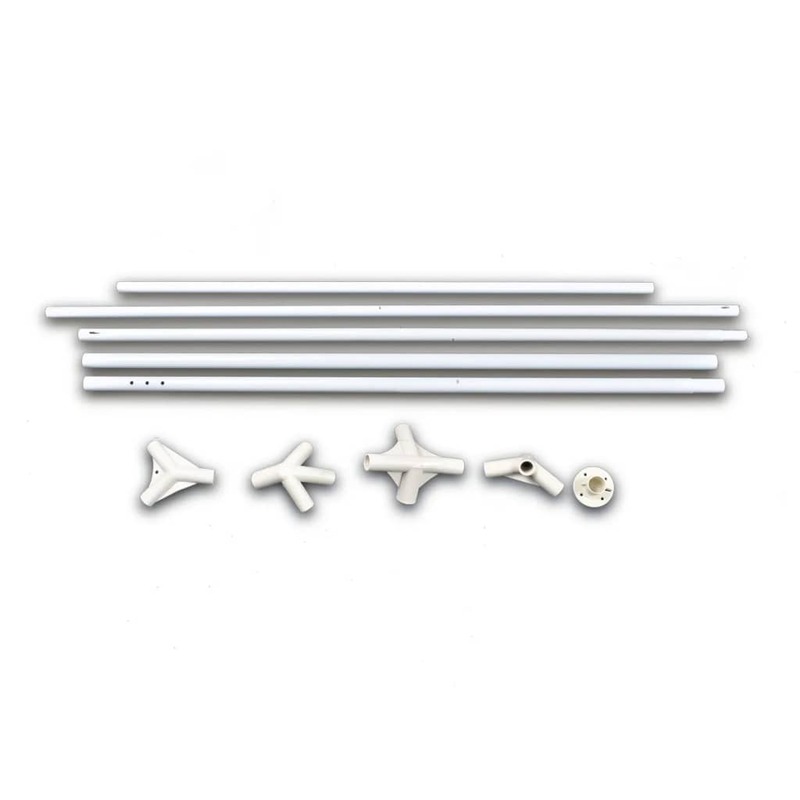 The frame is made from heavy-duty painted steel which is rust-resistant and lightweight. 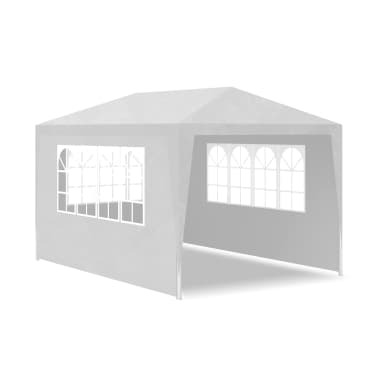 The roof and the removable sides are made from polyethylene tarp, which is water- and weatherproof. It has zipped entrance for easy access. 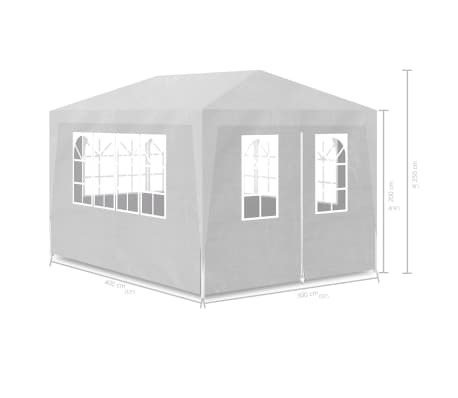 This gazebo will guarantee you years of quality service. 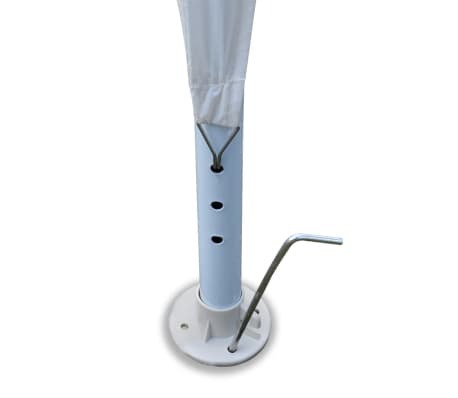 Installation is simple, no special tool required.